The company, which is famed mostly for its Firefox browser, has partnered with Chinese low-cost chip maker Spreadtrum.While not as powerful as more expensive models, the device will run apps and make use of mobile internet.It would appeal to the sorts of people who currently buy cheap "feature" phones, analysts said.Feature phones are highly popular in the developing world as a halfway point between "dumb" phones - just voice calls and other basic functions - and fully-fledged smartphones. Mozilla hopes that it will capture an early lead in a market that is now being targeted by mobile device manufacturers who see the developing world as the remaining area for massive growth.It will face stern competition from bigger, more established brands, however - with more announcements of this kind expected over the course of the next couple of days at the Mobile World Congress in Barcelona. "These solutions expand the global accessibility of open web smartphones to first-time and entry-level smartphone buyers by reducing the time and cost required for handset makers to bring these devices to market," said Spreadtrum in a press statement. Mozilla said the phone "redefines" the entry-level phone market.The concept of a cheap smartphone may seem likely to appeal to consumers in developed countries, particularly those who locked into long contracts in order to subsidise the cost of the likes of the Apple iPhone and Samsung Galaxy range.But analyst Carolina Milanesi, from Kantar Worldpanel, said it should not be seen as a competitor. "You're not really talking about smartphone experience. "You're talking about a clumsy smartphone that's a little bit better than a feature phone - still primarily for voice and text. 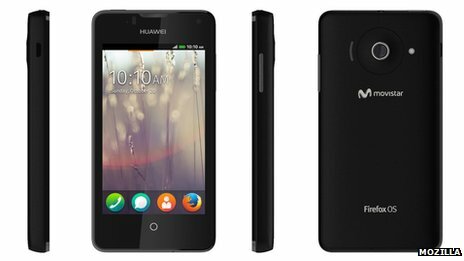 "The phone runs Mozilla's own mobile operating system - something that could cause problems as competition in the cheap smartphone market steps up, Ms Milanesi added.In addition to the $25 smartphone, Mozilla also launched several high-end models, including devices from Huawei and ZTE.